How to Get Rid of Bed Bugs NJ & NYC? BedBug Chasers® Safe Bed Bug Treatment NJ NYC is the only 100% Guaranteed method to KILL 100% of all stages of Bed Bugs in JUST ONE DAY! How to Get Rid of Bed Bugs NJ NYC? 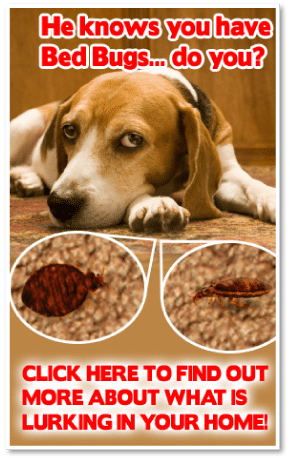 A “ONE and DONE” Bed Bug Heat Treatment that is safe for your family – ONE Treatment DONE in ONE Day! BedBug Chasers® Safe Bed Bugs Treatment is How to Get Rid of Bed Bugs NJ NYC. A family friendly non-toxic solution to eliminate bed bugs with our safe electric bed bug heaters. Our patent pending Safe Bed Bugs Treatment NJ NYC process is How to Get Rid of Bed Bugs NJ NYC . Safe electric bed bug heaters turn your infested home into a supercharged convection oven. This ground breaking Bed Bugs Treatment NJ NYC is performed with our safe electric bed bug heaters, they are designed to kill bed bugs, but will not damage any of your furniture or contents (unlike propane heaters that have caused fires in the past) and is completely safe for you and your family. Our BedBug Chasers heater are so safe it’s How to Get Rid of Bed Bugs NJ NYC on some of the finest Yachts, Custom Sportfisherman and Private Jets costing tens of millions of dollars! Bed Bug Heaters designed with your Safety in Mind. The BedBug Chasers Safe Bed Bug Treatment NJ NYC is How to Get Rid of Bed Bugs NJ NYC 100% Chemical Free! Our process is so Eco friendly, you can re-enter your home immediately after the safe bed bug treatment with no fear of toxic fumes or residues. While it is safe for your family, the clean, dry, odor free, Green and safe electric heat produced by our BedBug Chaser® heaters is instantly lethal to every bed bug, nymph and egg as well as many other insects lurking in your home in NJ or NYC. So when you and your family return from work and school, you can have the peace of mind that your home is totally bed bug free.